The Aviation Unit at the department provides a statewide air rescue response capability and regional air transport service that greatly benefits the public, the department and other public safety agencies. The services provided by aviation prove especially valuable during critical occurrences and emergency situations throughout the state. The unit is comprised of four air rescue helicopter bases, a fixed-wing air support unit, maintenance unit and administrative staff. To accomplish its mission, Aviation operates and maintains a fleet of five rotary-wing and nine fixed-wing aircraft. The unit’s fixed-wing aircraft are used to transport public safety personnel and equipment across the state and region, greatly enhancing public safety during critical occurrences. 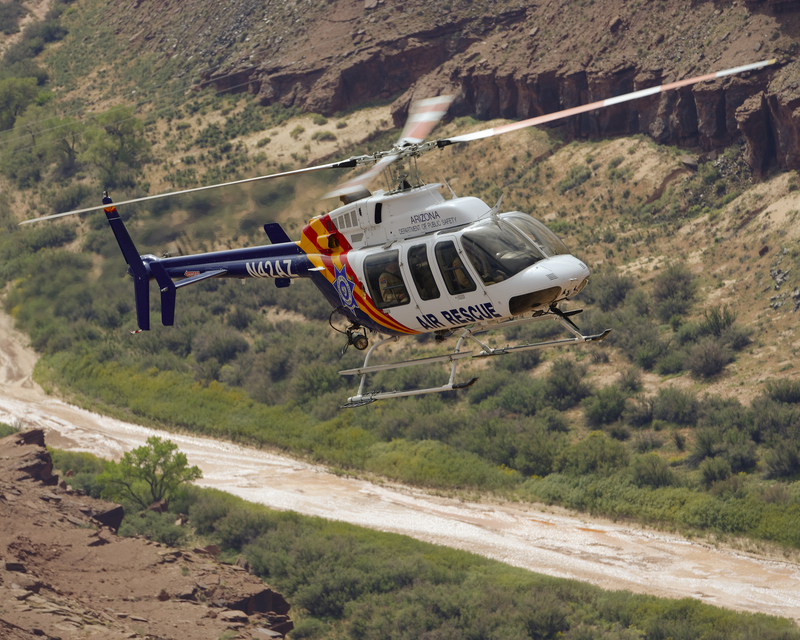 From four regionally-based locations, the air rescue helicopters provide law enforcement aerial surveillance utilizing the latest technologies. The air rescue helicopters and their crews also conduct search and rescue operations and provide helicopter technical rescue services to include short-haul, aerial rappel, toe-in/one-skid landings and confined area operations. Medical evacuations are conducted as part of mass casualty scenes or in situations where traditional services are unavailable. Aviation also provides a wide variety of logistical support to include the transport of vital materials, first strike “bambi” bucket wildland fire fighting, aerial photography of critical incidents and other public safety related support. These flights are conducted in support of not just AZDPS operations, but other public safety agencies across the state. Aviation resources are routinely provided to police departments, fire departments and county sheriffs in every county of the state. In fact, external agency request for the department’s aerial search and rescue services increased by more than nine percent in FY2016 and continues to be the number one requested service for the department’s helicopters. In FY2015, by order of the Governor, aviation services between AZDPS and the Arizona Department of Transportation (ADOT) began a consolidation process. In FY2016, the consolidation of xed-wing aviation services between AZDPS and ADOT was completed. 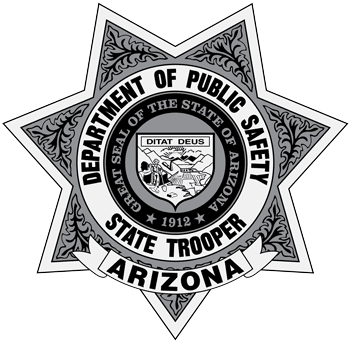 Whereas the two agencies previously had overlapping services, today one ight department exists under the AZDPS umbrella instead of two. Safety management, operational streamlining and support systems have been integrated due to the consolidation. This has resulted in consistent standards and lowered direct operating cost per aircraft. As a result, greater efficiency and taxpayer value exist.